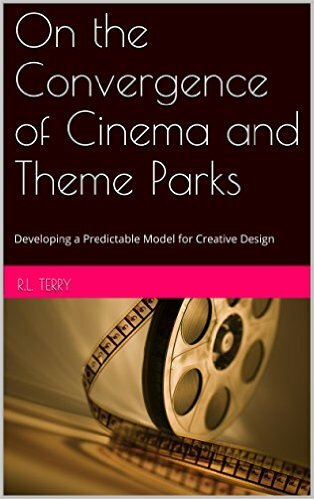 In order for the creative teams at cinema-influenced theme parks to understand what the public is going to want months, sometimes years, ahead of time, they have to understand the past attractions, the present ones, and what to look for in the future. Over the years, the attractions at these parks have undergone many changes. And, with the way the trends are going, the “behind the scenes” and nostalgic movie-based attractions are going by way of the dodo, and glorified IMAX® simulator interactive multi-dimensional rides are taking their place. Some of the prominent attractions in the vein of “behind the scenes” and robotic movie or television show attractions were located at Disney’s Hollywood (MGM) Studios and Universal Studios (Florida and Hollywood). Although a few of the park-opener attractions are still around, most have been replaced by other attractions. Originally Universal was an excellent theme park for learning about the magic behind the camera and the, mostly analog, technology that enabled directors to become magicians. There was a clear educational component to the theme park experience. And, to some extent, Disney’s Hollywood Studios was the same way. But, with the movie technology changing as rapidly as it is, some of the more nostalgic legacy attractions are going away. Many of the original Universal Studios attractions were about taking you behind the magic, revealing the secrets of movie and TV making. From 1990-1996 at Universal Studios Florida, there was a Murder, She Wrote: Mystery Theatre with sound stages that showed the audience about video editing and foley sound generation based on the hit series starring the incomparable Angela Lansbury. 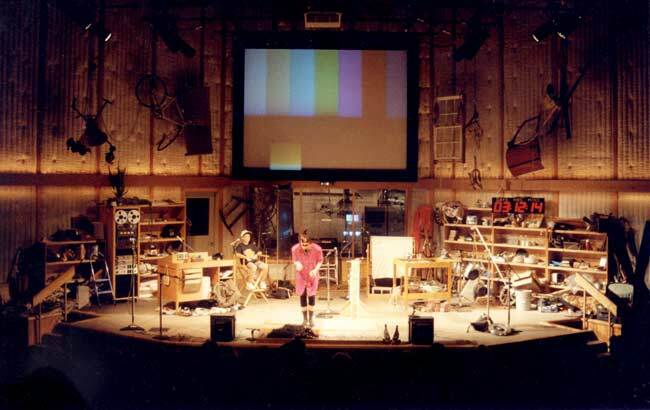 On the tour, the audience would get to watch scenes from the show, talk to industry professionals (played by actors), and volunteers would be used to interact with some of the equipment. But, probably, the most prolific and inspirational attractions about the magic of movies was the Alfred Hitchcock: Art of Making Movies attraction (1990-2002) and Bates Motel and House set from Psycho IV (1990-1998), both located at Universal Studios Florida. (I am actually going to write a separate article on this specific attraction after this series of excerpts is completed). This was a main attraction at the theme park until its dismantlement in 2002 to make way for the Shrek: 4D experience. From the aforementioned explanation by one of the producers of the attraction, the audience was completely immersed in the magic of bringing a Hitchcock thriller to life, and got to witness the most famous single scene in all of cinema history. This was all done with practical effects, just as Hitchcock would have done it. But, with the advent of computer-generated imagery and incredibly accurate and time efficient non-linear video editing, most of the effects can be generated in other ways. Although it remained one of the most popular attractions at the theme park until its closure, Universal saw the future of attractions and decided to do away with nostalgia and pave the way for digital simulated attractions (Singer, 2013). Doing away with cinema and television nostalgia wasn’t the sole prerogative of Universal. Although Disney World is famous for holding on to the nostalgia of the past, especially at Magic Kingdom (Singer, 2013), its parks, too, have learned to adopt new attractions for what they feel the guests want. On the (now closed) Studio Backlot Tour, guests would take a walking and tram tour through a special effects water show on the set of Pearl Harbor, featuring volunteers from the audience, and ride a tram through the production houses where props and costumes were made. Also on the tour was a special effects sequence in an oil refinery canyon that burst into flames and was also flooded. This put the guests in the middle of the movie-making action. Until 2003, there was a street called Residential Street on the tram tour. Here, park guests would come face-to-face with some of the most famous houses in Buena Vista/Touchstone Television shows. The most famous of the houses was the upper middle class home of the Golden Girls. The house was a replica of the North Saltaire Street house in the Los Angeles area that Disney used for the exterior shots during the first few seasons. 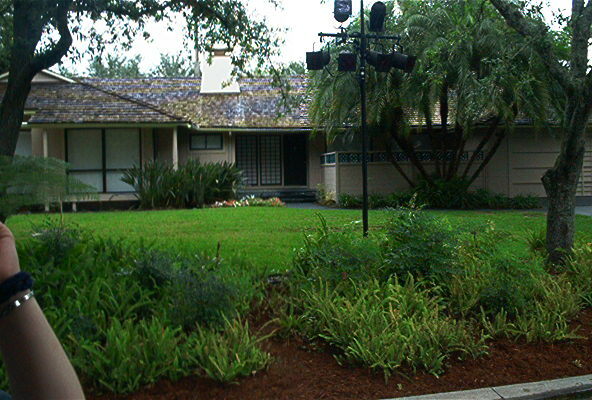 From 1989-1992, Disney used the replica at then Disney-MGM Studios for shooting the exterior shots of the house. In 2003, the houses were torn down to make way for an epic car stunt show, featuring how car action sequences are filmed in the movies. Keeping with the over-all theme of the park, this was staying with the concept of learning about the magic of making movies. As of October 2014, the Studio Backlot Tour was closed (History of the Backlot Tour, 2014). Return to the beginning of this series by clicking HERE.